Accountability’s centrality to democratic theory makes it “one of the holy grails of empirical political science research” (Samuels and Hellwig 2010, 393). It refers to the public’s ability to “discern whether governments are acting in their interest and sanction them appropriately” (Manin, Przeworski, and Stokes 1999, 40) through elections, civil society, the media, protests, and public opinion. Are some executives held more accountable than others by design? Can they shape their own accountability by the decisions they make? In a forthcoming article in the Journal of Politics, we posit that both presidents’ legislative powers and how frequently they resort to legislation by decree shape the extent to which the public holds them accountable for economic outcomes. Two forms of responsibility attributions connect presidential powers to accountability. “Role responsibility” concerns the obligations citizens expects presidents to fulfill and the consequences for failing to do so. Presidents endowed with vast lawmaking powers accrue great role responsibility for outcomes on their watch. “Causal responsibility” is doled out when presidents’ intentional actions are seen as proximate causes of economic outcomes. In proportion to the decree powers presidents use to legislate unilaterally, they will incur causal responsibility for the outcomes. To test our expectations, we gathered data from the Latinobarometer on presidential approval, sociotropic economic retrospections, and several common controls from 94,861 respondents in 120 surveys from 18 Latin American presidential systems over the years 2002-2009. We tested whether the degree to which socioeconomic retrospections were related to presidential approval was a function of two measures of presidential power: an index of the legislative powers afforded to the president by the constitution and the total number of decrees and decree laws the president issued in the previous year, as measured with the Global Legal Information Database. As predicted, economic evaluations influence the approval of powerful presidents more than their weaker counterparts. That is, economic accountability is calibrated to account for presidents’ legislative powers and prerogatives—their role responsibility for outcomes. Accountability also keeps pace with decree usage, a finding consistent with a mechanism of causal responsibility attribution. We can see this graphically through the marginal effects of economic evaluations on the probability of approving of the president according to legislative powers and the use of decrees as captured in Figure 1. To put some flesh on these results, imagine an individual whose president has Legislative Powers that register in the 10th percentile of our sample—Honduras since 1982. Results illustrated in the left-hand panel of the figure suggest that a unit increase in retrospective economic evaluations corresponds with, on average, roughly a 12.5 percentage-point increase in the likelihood that she will approve of the president. If this same individual were transplanted to a country where the president’s Legislative Powers ranked in the 90th percentile—Brazil since 2001—a unit increase in economic retrospections should boost the likelihood that she will approve of the president by around 16.4 percentage points. Turning to the link with decrees, illustrated in the right-hand panel of the figure, for a citizen whose president falls in the 10th percentile for decree issuance, a unit increase in economic evaluations corresponds with, on average, about a 13.5 percentage-point increase in the likelihood that she will approve of the president. If that citizen’s president falls in the 90th percentile for issuing decrees, the same increase precipitates around a 15.9 percentage-point rise in the chances of approving of the president. So presidents who enjoy strong legislative power and who use it extensively invite greater economic accountability. Not only do these measures of role responsibility and causal responsibility influence economic accountability independently but, as Figure 2 shows, their effects are even greater when analyzed in interaction. The public, thus, holds presidents to account for economic outcomes to a greater degree where their governing role responsibilities are vast and their causal responsibility is made more obvious by frequent use of such power. In other words, accountability for economic outcomes is strongest where presidents are strong legislators both de jure and de facto. In presidential systems, executive power can be a blessing or a curse. When the public perceives a humming economy, strong presidents who use their legislative powers habitually can expect their popularity to grow multiplicatively. But when they feel the economy slumping, vast presidential powers compound the problem, sending support in a downward spiral. This may seem unfair, given the difficulty even strong presidents face in advancing their agendas (Saiegh 2011) and delivering outcomes citizens prefer (Mainwaring and Shugart 1997)—and the fact that congress may ask the president to act unilaterally in order to get things done (Carey and Shugart 1998). Nevertheless, we conclude that the more lawmaking power constitutions grant presidents, and the more they use these powers, the more responsibility they assume for economic policy outcomes in the public’s eye. 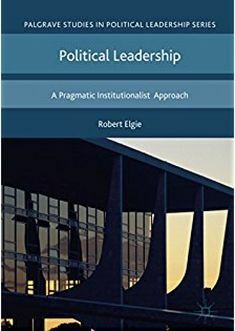 “The very same presidential tools that enhance governability may also undermine accountability – a tradeoff that has been largely overlooked even as analysts celebrate the survival of multiparty presidential democracy.” (86). Our findings, however, suggest no tradeoff between the powers that facilitate governability and the vertical accountability mechanism of public opinion between elections. In fact, citizens appear able to calibrate responsibility attributions according to presidents’ possession and use (or even abuse) of lawmaking power. Thus, our preliminary diagnosis is that presidential powers pose no barrier to accountability at the level of mass politics. But viewing these findings in light of our related research, blogged at Presidential Power earlier this year, renders a less sanguine conclusion. Democratic attitudes, the basis of regime legitimacy, are most positive under a middling—neither too high nor too low—degree of presidential powers (Singh and Carlin 2015). In other words, crafting an institutional framework to optimize both of these core democratic ideals under presidentialism may, therefore, prove rather challenging. Carey, John M., and Shugart, Matthew Soberg, eds. 1998. Executive Decree Authority. New York: Cambridge University Press. Chaisty, Paul, Cheeseman, Nic, and Power, Timothy. 2014. Rethinking the ‘Presidentialism Debate’: Conceptualizing Coalitional Politics in Cross-Regional Perspective. Democratization 21 (1):72-94. Mainwaring, Scott. 1993. Presidentialism, Multipartism, and Democracy: The Difficult Combination. Comparative Political Studies 26 (2):198-228. Mainwaring, Scott, and Shugart, Matthew Soberg, eds. 1997. Presidentialism and Democracy in Latin America. New York: Cambridge University Press. Manin, Bernard, Przeworski, Adam, and Stokes, Susan Carol. 1999. Elections and Representation. In Democracy, Accountability, and Representation, eds. Przeworski, Adam, Stokes, Susan Carol and Manin, Bernard. Cambridge, U.K.; New York: Cambridge University Press, 29-54. Saiegh, Sebastian M. 2011. Ruling by Statute: How Uncertainty and Vote-Buying Shape Lawmaking. New York: Cambridge University Press. Samuels, David, and Hellwig, Timothy. 2010. Electoral Accountability and the Clarity of Responsibility: A Conceptual and Empirical Reassessment. Journal of Elections, Public Opinion, and Parties 20 (4):393-414. Singh, Shane P., and Carlin, Ryan E. 2015. Happy Medium, Happy Citizens: Presidential Power and Democratic Regime Support. Political Research Quarterly 68 (1):3-17. Ryan E. Carlin is an Associate Professor of Political Science and Director of the Center for Human Rights and Democracy at Georgia State University. He received his Ph.D. in 2008 from the University of North Carolina at Chapel Hill. His research interests are comparative political behavior and public opinion, with a regional emphasis on Latin America. His work has been funded by the National Science Foundation, USAID, the Mellon and Ford Foundations, and the Latin American Studies Association. He is co-editor of The Latin American Voter (University of Michigan Press, 2015) and his work has appeared in numerous academic journals and volumes. His website is found at https://sites.google.com/site/ryanecarlin/. Shane P. Singh is an Associate Professor in the School of Public and International Affairs at the University of Georgia. He received his Ph.D. in 2009 from Michigan State University. His research focuses on the institutional and contextual foundations of political behavior and attitudes. His work has been funded by the Social Sciences and Humanities Research Council of Canada, and his research has appeared in many academic journals and edited volumes. His website is found at http://www.shanepsingh.com. This entry was posted in Presidential power measures, Presidentialism and tagged presidential popularity, Presidential Power on July 24, 2015 by Robert Elgie.